Hart HOLES: A LECTURE, performance documentation, 2009-2011. Images courtesy of the artist and Matt's Gallery, London. You wouldn’t normally think of suburban Kingston as a place rich in performance art, but head to Emma Hart’s ‘Word Processor’ event at the Stanley Picker Gallery and prepare to revise your opinions. Hart’s artistic practice is all about subverting the ways in which cameras are regarded. Rather than focusing on what they document, her works direct the viewer’s attention towards the process of recording the information we innocently consume. ‘Word processor’ takes this idea a step further as she prepares to become part of the action. We spoke to Emma ahead of the event, to learn more about her work and how she feels about the steady digitisation of our society. I am on twitter. I don’t find this oppressive and see a lot of people messing about with its form and content. It often makes me laugh out loud; or should that be LOL? Dazed Digital: How does ‘Word Processor’ relate to your core ideas about cameras? 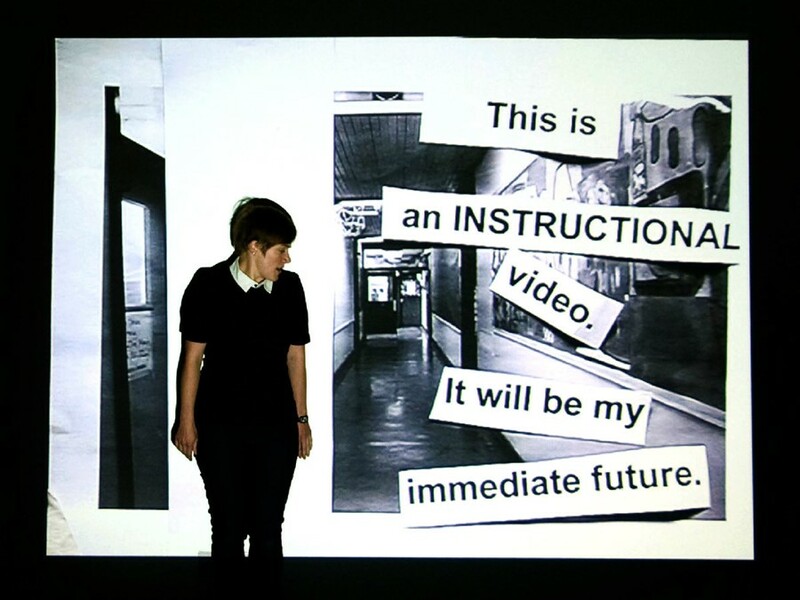 Emma Hart: 'Word Processor' is a live performance and I’ll be working with photographs, lens-based apparatus and words to try and corrupt ‘the now’. I think my problem with documents is that they fix things; make things facts, make things true. They close down situations and overwhelm us with their certainty. We cannot argue back, in fact we lose our voices. I set out to make art that will always be uncertain, and then set myself the bigger challenge of doing it all with cameras. One way for me to think about how a camera can act on the present and not describe the past, is to think about the live event. DD: Can you explain the background of ‘Word Processor’, and what you will be doing during the three weeks leading up to the event? Emma Hart: 'Word Processor' forms part of my PhD at Kingston, which is investigating how I might make new things with cameras as opposed to representations or descriptions. I believe a Fine Art PhD must be done in public, as art must be in public. During my residency at the gallery, I’m going to turn myself into a human word processor and build a conceptual writing machine to generate new scripts that will form the written element to my thesis. An overhead projector will create a rotating space made of words, in which I’ll try and stand; and I’m also thinking about making a puppet show with photographs as absurd puppets. There is a lot going on. DD: Do you prefer the medium of performance art to others such as installation, video or sculpture? Emma Hart: No, I actually hate doing performances. I hate all those people looking at me; I wish I had a doppelganger I could pay to do it. An expert friend has told me that performing is good for me and good for the art, even though I hate it. I’m not sure I agree. I think it’s more probing to think about how a sculpture or video could be understood as live. I find the sounds and the performance of words more interesting than their meaning, and like making large, field-like projections which I can dance about in. DD: What is your general opinion on the rapid digitisation of our society? Emma Hart: I am worried about the creep of digital information, smoking us out of the imaginative holes we once dug and decorated for ourselves. I am not on Facebook, and cannot face going there. I don’t understand why something so fixed, so fundamentally hierarchical (the powerful create the form and you rollover and supply the content) has got so many people. If you can’t mess with the structure, then it sounds wrong to me. That said I am on twitter. I don’t find this oppressive and see a lot of people messing about with its form and content. It often makes me laugh out loud; or should that be LOL?